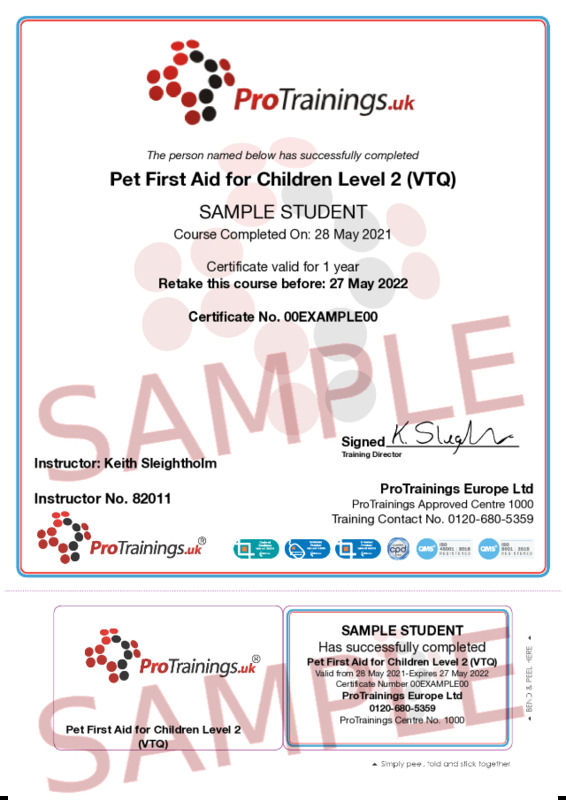 This course is based on our popular full pet first aid but is adapted for teaching children. It covers a reduced number of skills and it is taught in an easy to follow format, aimed at children. We are launching pet first aid programs for schools and clubs later in the year.